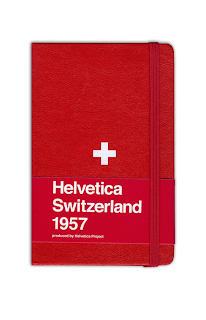 Helvetica + Moleskine = Perfection. Back in October, the LaForet Museum in Harajuku, Tokyo had a Helvetica tribute exhibit (!!!) that I unfortunately missed out on. Apparently, they even had a Helvetica Shop which sold various goods related to the revered font. How did I miss this? If anyone knows how to get his/her hands on this Moleskine, the information would be greatly appreciated! i can look around next time i go to tokyo--just give me some clues; maybe the moma shop?